Unless you’re from the East Coast or somewhere else that experiences a “real” winter, the California cold has got you feeling some type of way. It might be 65 degrees, but you’re wearing three layers of North Face jackets and sitting in front of your space heater. You’re too cold to even think about going outside, even though you’re starving and your fridge has been empty for days. You need to venture out for a hot bowl of soup, but you want to spend the least amount of time outside as possible. If you’re looking for your quick soup fix, we at the Clog have found the closest places to campus so that you can get right back to your space heater. 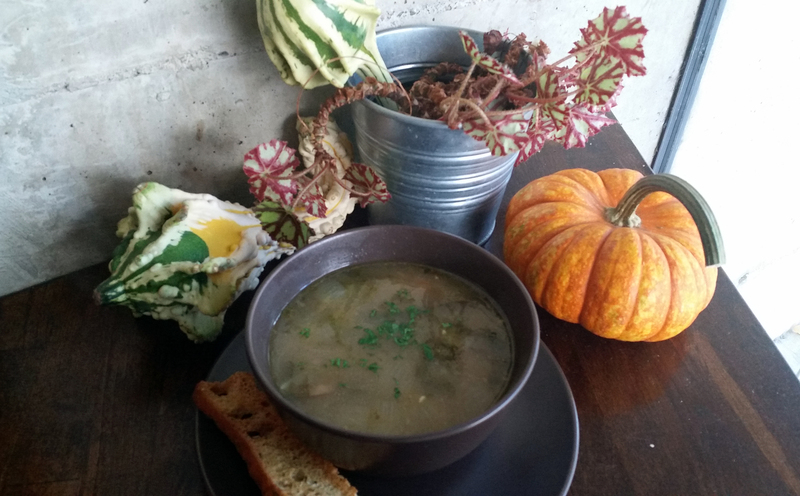 Smart Alec’s has previously appeared in The Daily Californian’s Best of Berkeley as our choice for Best Health Food Restaurant, so it’s no surprise that its soup never fails to disappoint. Its corn chowder has the same consistency as a telenovela — thick and flavorful. Some of its thickness comes from the kernels of corn and generous potato chunks interspersed throughout the soup, and although we enjoyed this texture, if you prefer smoother soups, you might want to opt for one of its other signature options. 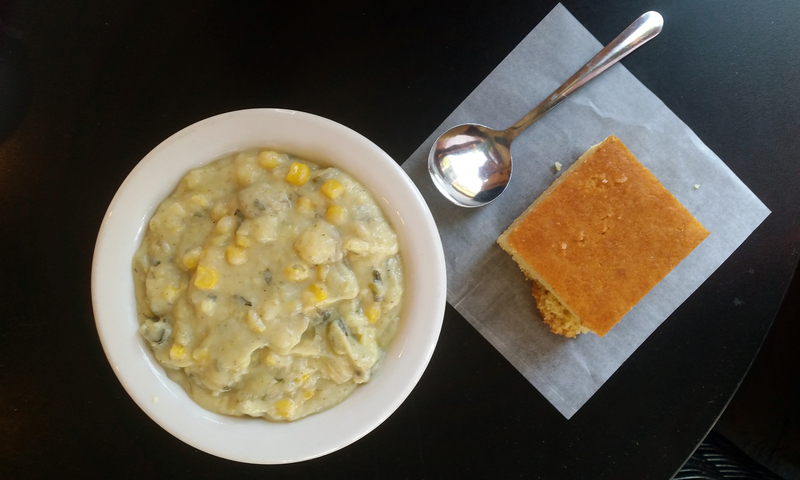 Either way, be sure to try Smart Alec’s irresistible cornbread, which comes free with a combination order. The pleasing minimalist aesthetic of Babette’s interior pairs well with the distinct flavors of its specialty dishes. The unique ingredients, such as the pasilla peppers in its chicken soup or the Indian style chickpeas in its vegetable stew, open your flavor palette in new, unexpected ways. There are just some tastes you aren’t going to get anywhere else — in our chicken soup, the pasilla peppers added a subtle kick of spice that acts as a surprising aftertaste in the otherwise traditional broth. Pho is one of our go-to comfort foods. Because it’s so savory, it tastes especially good on gloomy days. 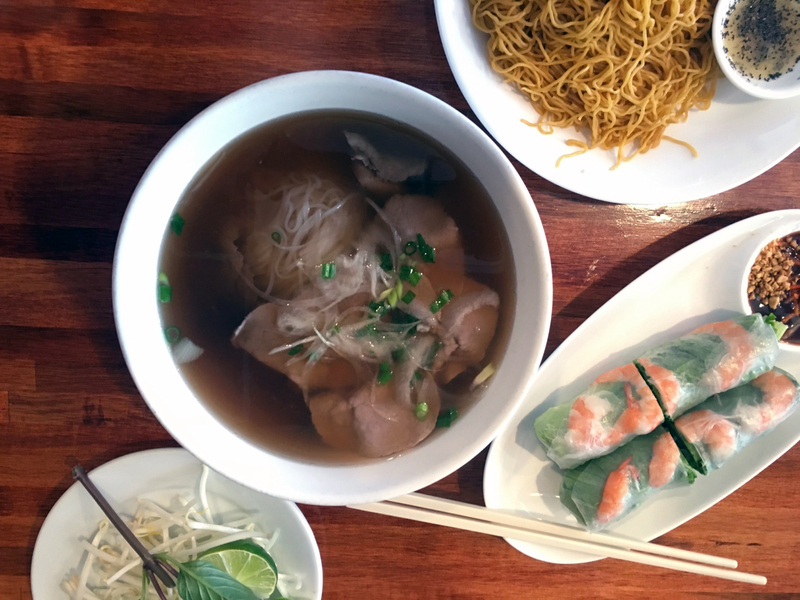 Pho K & K provides a generous portion of broth, rice noodles and whatever meat or vegetable combination your heart desires. We picked rare beef steak and beef flank for our soup, because they add tenderness and body to the thin broth. But if you’re not feeling beef, they have 10 options that are all Sriracha-friendly. Plus, if you still have room for dessert after your meal, treat yourself to shaved ice at Vampire Penguin, which is just a few paces away. If you ever find yourself near the west entrance of campus, the food scene on Center Street never disappoints. Crunch, one of the restaurants on the strip, offers a solid assortment of customizable soups. You can get anything from chicken cutlet to fried tofu to potstickers as the main ingredient of the dish. You can also choose whether you want your noodles to be udon, soba or ramen. Don’t expect a traditional been-there-done-that type of ramen because the Korean-American fusion style at Crunch is its own delicious story. 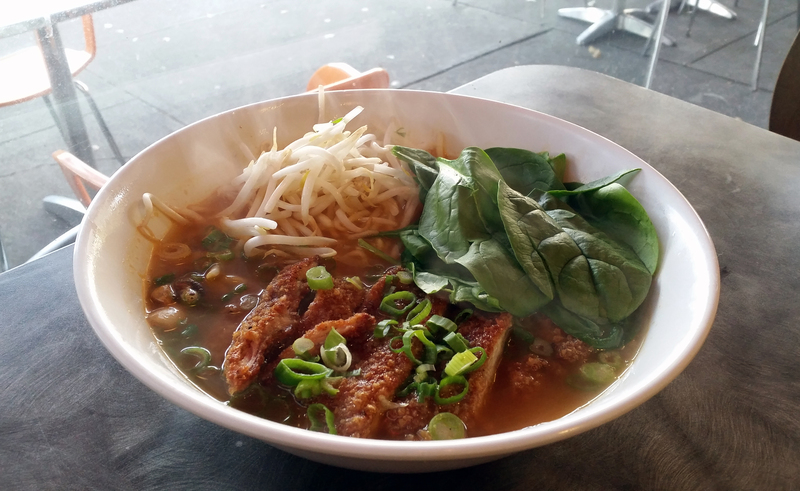 The generous portions of chicken in our chicken cutlet ramen made this dish filling, yet affordable. We even had leftovers for lunch the next day! 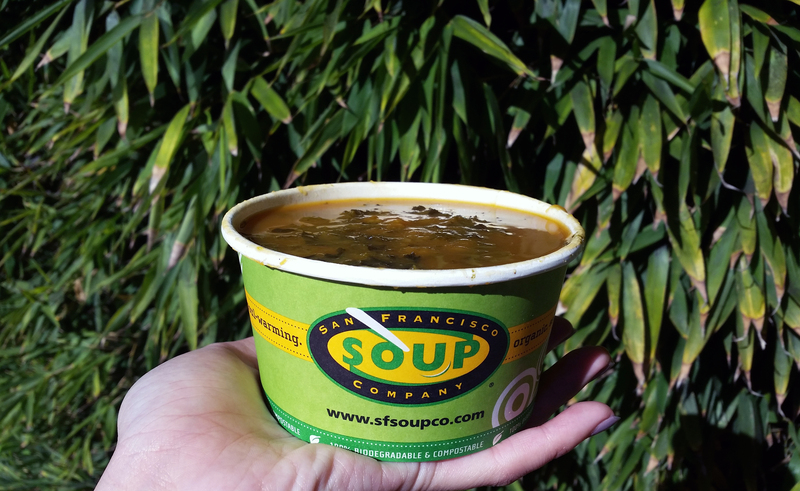 A list of great places to get soup would not be complete without the San Francisco Soup Company. Located just across campus on Bancroft Way, this is the pinnacle of convenience and accessibility. Pick up a bowl between classes, or grab dinner on your way home. Any time you go, the variety of its selection will guarantee you a bowl of satisfactory soup, accompanied by a complimentary bread roll. Vegan-friendly and gluten-free options are available. We picked butternut squash soup because of the signature fall undertones of the butternut squash. The squash gave the soup a pleasing flavor that definitely made it worth it to brave the cold.